On June 7 2016 Adam Nobody, represented by lawyers Julian Falconer and Marc Gibson of Falconers LLP, was granted leave to appeal the punishment of Defendant Constable Babak Anadalib-Goortani. A forfeiture of five days’ pay was levied against Cst. 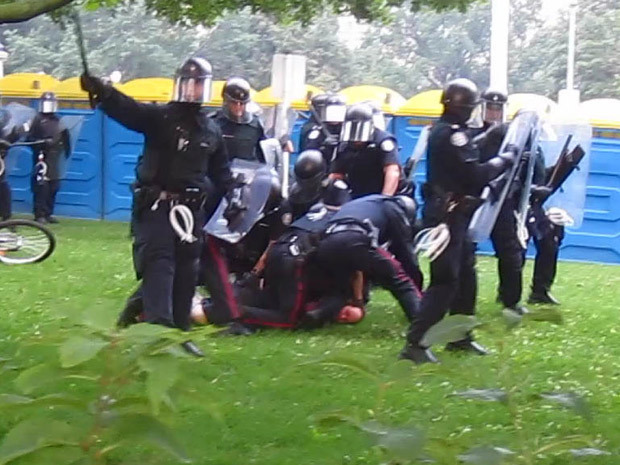 Andalib-Goortani following his assault of Mr. Nobody during the 2010 Toronto G20 protests. Mr. D. Stephen Jovanovic, Associate Chair of the Ontario Civilian Police Commission, granted the leave, finding that the matter met the third branch of the Test for Leave to Appeal by the Commission: “significant importance to the policing profession, as a whole, and the community at large”. Mr. Nobody’s factum on the request for leave to appeal alleges that the adjudicator of the disciplinary proceedings made a number of legal errors in determining the applicable penalty, including a complete failure to consider the impact of Cst. Andalib-Goortani’s criminal assault on the victim, Mr. Nobody, or on public confidence in policing. Cst. Andalib-Goortani pleaded guilty to discreditable conduct after being convicted of criminal assault with a weapon in the course of his duties during the G20 protests in 2010. He struck Mr. Adam Nobody with his baton while Mr. Nobody was being held down and beaten by other officers. The trial judge held that the blows struck by Cst. Andalib-Goortani were not proportionate or necessary and that his testimony at the criminal trial, where he stated that the strikes were in response to alleged resistance, was little more than after-the-fact justification. 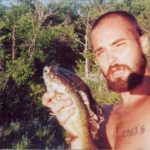 It took investigators over five months to identify the officer, who was not wearing mandatory identification tags at the time. A Pre-Hearing Conference will be scheduled to deal with any issues arising from this decision and to schedule a date for the hearing of the Appeal.